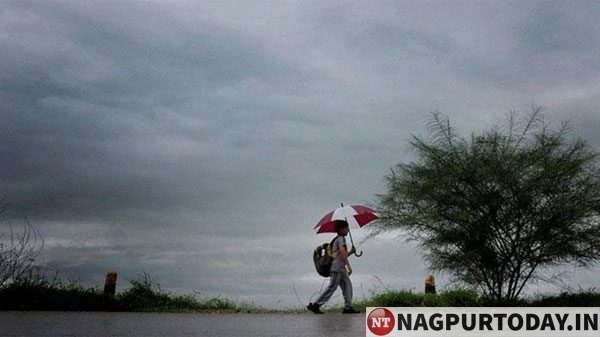 Nagpur: As predicted by Skymet Weather, Pre-Monsoon weather activities picked up pace over Maharashtra during the last 24 hours. And scattered light to moderate rain and thundershower activities occurred over parts of Marathwada and Madhya Maharashtra. In fact, Mumbai and its suburbs also witnessed short spell of light rainfall activity during the late evening hours yesterday. In the last 24 hours from 08:30 am on Sunday, Nasik recorded 7 mm of rain, followed by Malegaon 4 mm, Parbhani 3 mm, Satara and Solapur 2 mm. At present, a trough is extending from Afghanistan to North Central Arabian Sea up to 300 hpa. Therefore, moisture feed is available over most Maharashtra up to 10 km above sea level. Moreover, a cyclonic circulation has also formed over West Rajasthan. The trough from this circulation is extending up to South Madhya Maharashtra. Another trough is also merging with the above trough across Vidarbha region. Due to the combined effect of these multiple weather systems, we expect most parts of Maharashtra to receive rain, thundershowers and thunderstorm activity during the next 24 to 36 hours. Light to moderate rain and thundershowers with isolated squall and lightning will occur over Ahmednagar, Akola, Amravati, Aurangabad, Bhandara, Bid, Buldana, Chandrapur, Dhule, Gadchiroli, Gondia, Hingoli, Jalgaon, Jalna, Kolhapur, Latur, Mumbai, Mumbai Suburban, Nagpur, Nanded, Nandurbar, Nasik, Osmanabad, Palghar, Parbhani, Pune, Raigarh, Ratnagiri, Sangli, Satara, Sindhudurg, Solapur, Thane, Wardha, Washim and Yavatmal districts of Maharashtra during the next 24 hours. Thereafter the trough will move in easterly direction and dry winds from north/northeast direction will commence over Maharashtra, leading to dry weather conditions and increase in day temperatures.